The implications of this revelation are, needless to say, stunning. Maybe the Russians weren’t meddling in the 2016 election after all. Maybe it was God who was messing around with people’s Facebook pages and targeting African American voters in Pennsylvania, Michigan and Wisconsin with negative information about Hillary Clinton. Maybe it was the Big Guy in the sky who was hacking Hillary’s email server and the Democratic National Committee’s computers. But wasn’t God worried that his secret activities might eventually be uncovered? I suspect not. God probably realized that an obvious world-class villain like Vladimir Putin was the perfect fall guy for His underhanded efforts to swing the election to Trump. But other scenarios are certainly possible. If God likes Donald Trump that much, maybe He likes Putin as well. Maybe God was colluding with the Russians from the start. He’s God, after all. He may have decided years ago to make Putin the dictator of Russia so he could eventually help Trump get elected president. That way God could keep his fingerprints (assuming God has fingers) off of any illegal wrongdoing that came out after the election was over. In fairness to Sarah Sanders, I feel obliged to point out at this juncture that she didn’t actually say God made Donald Trump president. She said that God wanted Trump to become president. Maybe God just sat on the sidelines, cheering Trump on at his rallies and feeling happy whenever Hillary made a mistake. Maybe God thought it would be unseemly to get involved in partisan politics but was secretly happy when the Russians got involved, knowing, as only an All-Knowing Being can, that Trump couldn’t have won the election without their help. If God had been pulling the strings, would he really have let Hillary win the popular vote by three million votes? For instance, should we now assume that God thinks it’s all right to boast about sexually assaulting women? Or does God believe that all Mexican immigrants are rapists? Or does God condone pathological lying to advance one’s cause? And where does God stand on the question of who had the larger crowd at his inauguration: Trump or Obama? What does it say about God that he wanted Donald Trump to become president? Or is God like those white evangelical Christian voters who support President Trump in such overwhelming numbers? 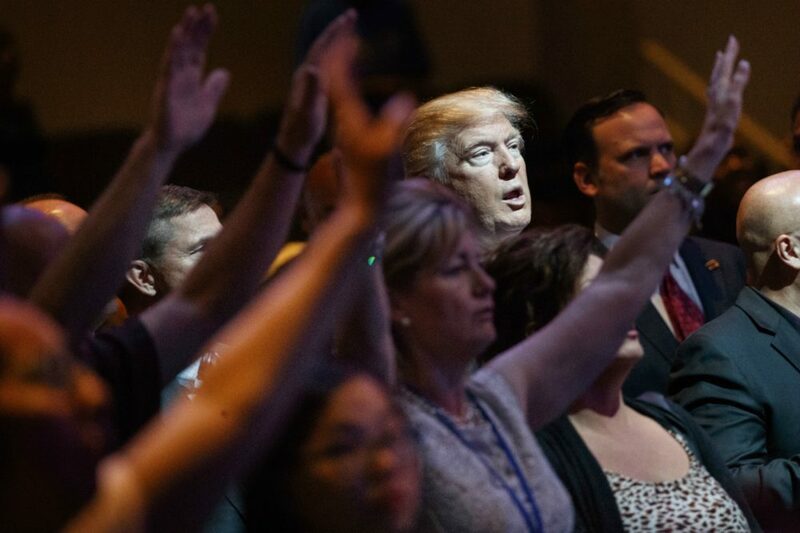 Perhaps God is willing to overlook Trump’s obvious character flaws because he wants to get more conservative justices nominated to the Supreme Court, hopes to roll back women’s reproductive rights and approves of tax cuts that mainly help the top one percent of the population. Maybe God thinks the ends justify the means. But what about all those mainstream Christian denominations that despise President Trump? How do they feel about this news? How does God feel about them? Whose side is God on anyway? I can’t refrain from asking one final question, even if it means angering the White House press secretary. Maybe I’m wrong, but it seems to me this question goes to the heart of the American Constitution. If God really wanted Donald Trump to become president, where does that leave the separation of church and state? 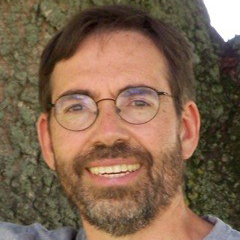 Peter Guthrie, LICSW, is a writer and psychotherapist in private practice. An English teacher in a former life, he also worked for many years in college counseling.